Urban air pollution is a serious problem in big cities as it exceeds the safety limits for human health in many cases. To this end, a directive has been passed in Europe whereby the EU must have reduced its greenhouse gas emissions by 80% by the year 2050, in comparison to the 1990 levels. 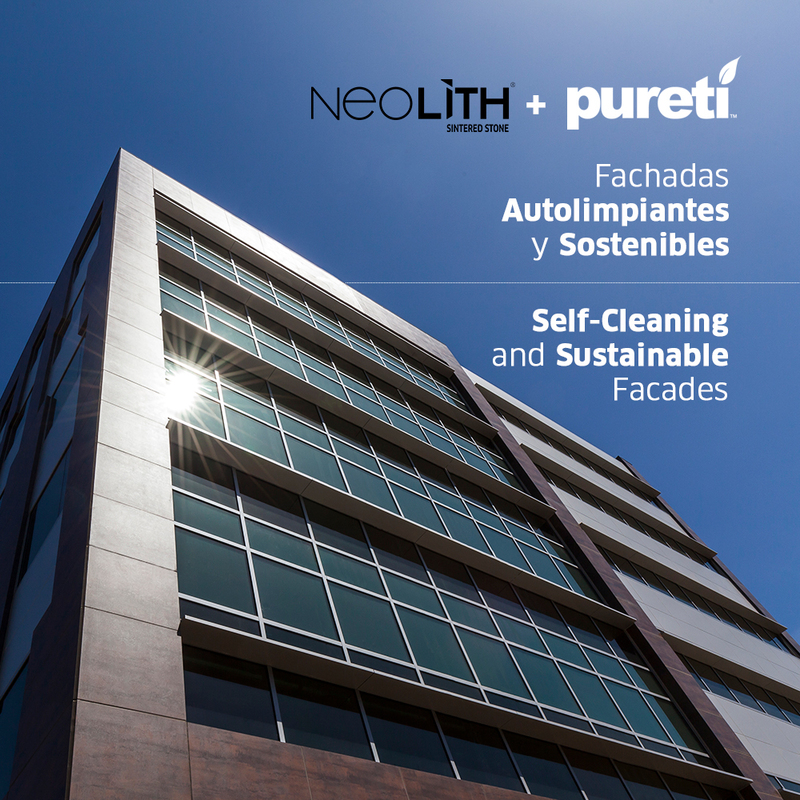 In response to this serious problem, Neolith has joined the environmental conservation efforts with the market launch of a revolutionary treatment for its SKYLINE facade line: PURETI. SELFCLEANING | facades due to the photocatalytic effect produced. DECONTAMINATING | as substances that are harmful to the environment are neutralized. ANTIBACTERIAL | as bacterial growth is stopped. ANTI-ODOUR | as they completely eliminate bad organic odors. ANTI-ALLERGEN | as the air we breathe is constantly purified and improved. The Pureti technology creates self-cleaning surfaces that purify the air by means of two fundamental processes: photocatalysis and superhydrophilicity.